The Canon Powershot G1 X is a very difficult camera to pigeon-hole. Compared to other premium compact cameras, it's much bigger and heavier but has a much larger image sensor that delivers better images with more depth of field. Compared to a compact system camera, it offers a similar sized image sensor and body but doesn't have interchangeable lenses. Compared to a DSLR, it's much smaller with still respectable image quality, but it's not as responsive and again you can't change the lens. The G1 X is a physically large compact with a fixed zoom lens and image quality that rivals many (but not all) compact system cameras - if that description suits your needs, then the G1 X is just about worth its rather high £699 / €799 / $799.99 price-tag. Taken on its own merits, there's little wrong with the G1 X and lots to like. Anyone that's already familiar with the Canon G-series will quickly feel at home with this new model, while those new to the system will find the plethora of external controls a real boon to their creativity. We did miss the G12's ISO dial, replaced on the G1 X by a less satisfactory ISO button and a subsequent delve into the menu system, but otherwise the user interface is customisable and extremely polished. Likewise the G1 X's image quality is outstanding for a compact camera (with the exception of macro shooting), understandable given the large sensor that lies at its heart. If you've ever wanted DSLR-like pictures from a fixed-lens camera, then look no further than the G1 X. Sure, it can't match a DSLR or an APS-C equipped compact system camera at the higher ISO speeds, but ISO 100-1600 is eminently usable with 3200 as a backup, not something that you can say about many compacts. This performance also importantly matches Micro Four Thirds compact system cameras, making the G1 X a real challenger to the systems from Olympus and Panasonic in terms of image quality. 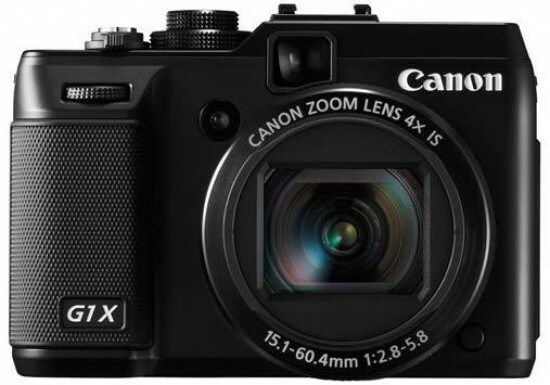 So if you want an all-in-one fixed-lens camera that offers a tried and trusted user interface, excellent image quality, full HD video and a versatile screen, the Canon Powershot G1 X is easy to recommend. Whether it offers enough to justify its high price tag compared to cameras with bigger sensors or interchangeable lenses is entirely up to you.